"Great value for money. Very good/knowledgable guides.very happy to help at all times." "The accommodation at Sunna was clean and comfy, also well placed in Reykjavik. Our..."
"Excellent trip that fit all the highlights of Iceland into 3 days, from glacier hikes..."
"We had a blast on the Golden Circle Tour with Mr. Baldwin! He kept all 16 passengers..."
"The trip was beyond my expectations. The guide was very knowledgeable and always..."
"Overall, the tour was great and we visited many wonderful places. Staying in the..."
"The trip was great and the accomodation was excellent at the Skuggi hotel. 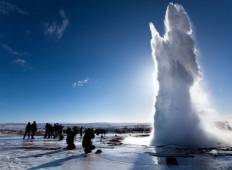 Tour guides..."
"Iceland is super nice! 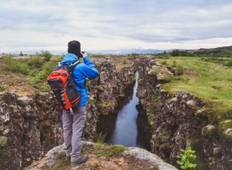 It was a pity that the 5 day-trip was not with the same group...."
"We did the 4 day Best of Iceland tour and overall I feel the drive was super long..."
"We were happy while tour in Iceland. Tour guides were very nice." "The trip was great. The landscape and experiences in the north were amasing and the..."
"Have used Intrepid for over 7 trips and loved every single one ran by them exclusively...."
"Thanks for putting together a great tour for my father and I! We will happily recommend..."
"Best guide! Friendly. Intelligent. Helpful. Made it a wonderful experience! Amazing..."
"This trip was amazing! Everywhere we went was absolutely spectacular, and my guide..."